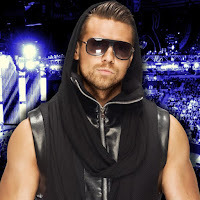 Tuesday's WWE SmackDown from Worcester, MA will feature The Miz hosting MizTV with guests The New Day to find out which member of the group will be entering the men's Money In the Bank Ladder Match. - Also scheduled for Smackdown Live are Lana vs. Billie Key and Samoa Joe will vs. Big Cass. The winners will qualify for the Money In The Bank Matches.